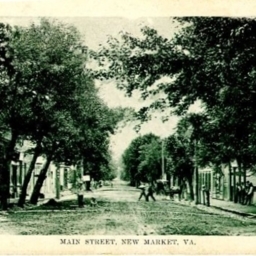 Postcard showing downtown and Main Street in New Market Virginia. 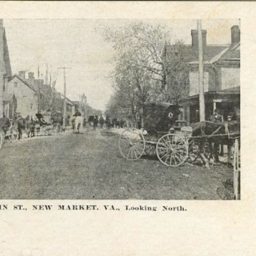 Main Street, New Market, Va.
Postcard showing downtown buildings along Main Street in New Market Virginia. 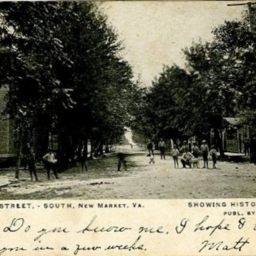 Postcard showing downtown buildings along Main Street in New Market Virginia looking south. It includes the "Historic Town Pump." 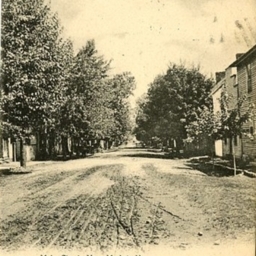 Postcard showing downtown buildings looking north along Main Street in New Market Virginia. 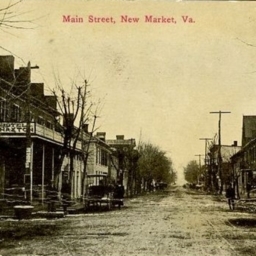 Postcard showing downtown building along Main Street in New Market Virginia. 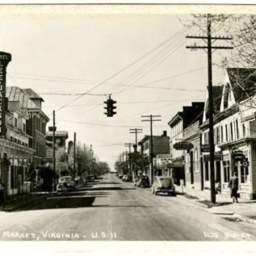 Postcard showing downtown buildings along Main Street (US Route 11) in New Market Virginia including the Lee-Jackson Hotel. 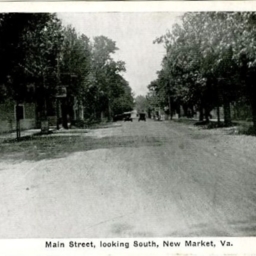 Main Street, looking South, New Market, Va.
Postcard showing downtown building looking south along Main Street in New Market Virginia. 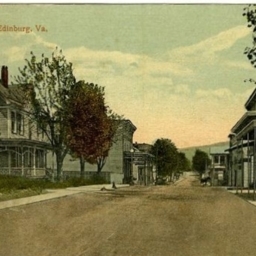 Color postcard with a photograph of buildings along Main Street in Edinburg Virginia. 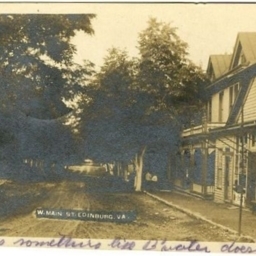 Postcard with a photograph of structures along West Main Street in Edinburg Virginia. 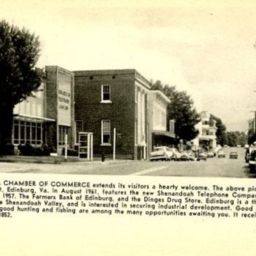 Postcard with a picture of downtown Edinburg Virginia and a greeting by the Edinburg Chamber of Commerce. 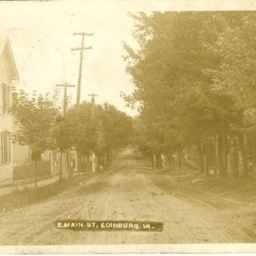 Postcard with a picture of East Main Street in Edinburg Virginia. 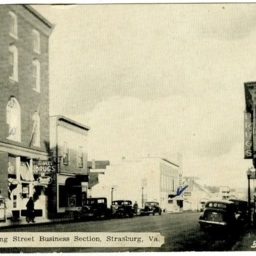 King Street Business Section, Strasburg, Va.
Postcard showing a picture of a portion of Strasburg Virginia's downtown section.